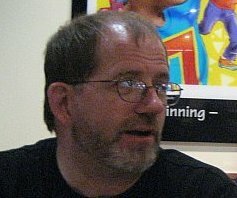 Bill Binkelman, 53, has been writing about, reviewing, and interviewing artists in contemporary instrumental music genres since 1997 when he launched the grass roots 'zine, Wind and Wire. Through the years that followed, his reviews have also appeared on various websites and in other publications. Bill began reviewing for New Age Reporter in winter of 2006. When he's not working at a small private university in St. Paul or buried in his reviewers' thesaurus, he enjoys spending time with his partner, Kathryn Heinze, and their black-lab mix Mamie in a quiet residential neighborhood of Minneapolis, Minnesota. His other passions include cooking and the Green Bay Packers. 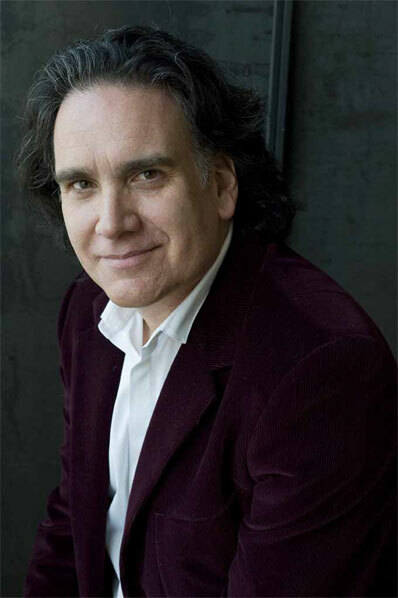 New age/contemporary instrumental music lovers who've followed the genre since its inception know well the name Peter Buffett. One of the artists who helped launch the electronic music arm of the famed Narada record label (specifically, the Narada Mystique sublabel) Buffett garnered many fans with his dramatic keyboard-dominated music. Through the years, Buffett has explored other musical paths in expressing his artistic persona. Currently he's immersed in vocal music as well as harboring a deep and passionate commitment to social causes. This interview was conducted via email and, in it, Peter is forthcoming about his music, his life and his desire to make the world a better place. BILL: Let's begin with your most recent release, Imaginary Kingdom. As I listened to it several times and read the lyrics, it reminded me of Til Tuesday's Everything's Different Now, in that, to be honest, many of the songs are intensely personal and, well, depressing to say the least. Am I wrong in assuming that a fair number of these are about heartbreak, breaking-up, being disappointed or disillusioned in some way? PETER: You are correct!.. and it's funny because I'm considered an easy-going guy with a decent sense of humor. But what you've identified is something that I think I've done all my life. I've put my sadness, frustrations and disillusionments into my music. I remember someone saying after listening to my very first album (The Waiting on Narada Records), "I hope you're not always that sad". It's so second nature that I didn't even really notice until I read your question and went back to look at the titles! BILL: Another way this CD reminds me of "Everything's Different Now" is that all the songs are united by a common musical "feel" and, of course, your voice, which also made EDN work so well, as it was all Aimee Mann's voice and the songs, while different, shared a musical motif, so to speak. Would you agree with me that this is the case with "Imaginary Kingdom"? PETER: Well, it's certainly something I strive for. So I'm happy that you hear it that way. I think I've always wanted to write an incredibly cohesive series of songs - a set of pieces that stand alone, but really carry you along on a journey (sonically, musically and lyrically) if listened to as a whole. Of course the ultimate version of this is the B-side of Abbey Road. BILL: Musically, the album is hard to pin down to one or two subgenres - I hear the prog folk of the title track, the trippy "Can I (Again)?" the blend of blues with shoegazer on "Wrap It Up in Blue," and the jangly alt-rock of "Independence Day." I'm guessing your musical influences are broad and varied. Can you pinpoint them? PETER: I think I gave it away in that last answer.. The Beatles were definitely the biggest influence. And of course they were very experimental in the studio. I love melody and I love electronics. To me the most interesting bands and producers were always working with both. Peter Gabriel comes to mind � as well as Beck�Also, I strive to write things that sound simple but aren't� with lyrics that go beyond June and moon. In later years I was influenced by everyone from Portishead to Amiee Mann (you called that one!) � Radiohead to The Weepies. BILL: I do have to ask if you're as "sad" as you sound when you sing. You've got a good voice but you frequently seem to be quite downcast, which the lyrics would dictate, I suppose. So, are you merely mirroring the words' emotional intent or is that your true "musical personality?" PETER: I think you hit it on the head. It's my "musical personality". Melancholy.. a sort of sweet sadness.. It's where I've always felt most at home in my music. I've never been much for major keys! (or at least not for a whole song). "It's my "musical personality". Melancholy.. a sort of sweet sadness.. It's where I've always felt most at home in my music. BILL: Juxtaposing these personal intimate songs are your liner notes which sound more like a political call to action, calling for people to realize the world is "out of balance" and your reference to "The old man [who wears a king's crown on the album cover] is snoring." Does this statement allude to your current (and past) work for social justice around the world, such as your recent collaboration with the artist Akon calling attention to the issue of modern day slavery and human trafficking? PETER: I feel like the CD cover is wasted if there isn't some sort of artist's statement. I haven't done that as much lately, but Imaginary Kingdom was feeling like it was time to bring that back. If my writing doesn't come from an internal emotional landscape, it comes from an external one. And the more I see of the world and our behavior, the more I want to say through my music. Much of the disillusionment you hear is very personal, but it's in relation to the world we're creating. ".. the more I see of the world and our behavior, the more I want to say through my music." BILL: "Blood Into Gold" is a song (wrote and performed in collaboration with Akon) which is a call to action for ending human trafficking, forced labor, and modern-day slavery, much of it involving children, all over the world. How did you first become aware of this problem and decide to get involved in this issue? PETER: Over the past few years I've been immersed in learning how the world of philanthropic giving works. I've heard people's views on tackling issues � and seen the difficulties they encounter when trying to do good work in the world. One thing I've noticed is that there always seems to be a problem behind the problem. In other words, you think you've got a solution to an issue only to find that there's more to the story. Let's build schools for kids! How will we get the curriculum there/pay the teachers without roads? How will we get the teachers when there's no training? On and on.. But as you peel back the onion, you see that the deepest darkest issue anywhere on the planet is people being treated as a commodity. Bought and sold. Used up and cast away. When life has gone from a relationship to a transaction we have lost our way.. lost our soul. Once you see people being treated like this firsthand.. once you talk to a 16 year-old girl that was sold into prostitution at 10 to a 60-year-old man - and she wants you to tell her story to the world - you have to do that. You have to find a way to tell her story to the world. "When life has gone from a relationship to a transaction we have lost our way.. lost our soul." BILL: Let's examine the video for the song. How was it shot? Some of the video looks like it must have been dangerous to shoot, especially of the children soldiers. Did you and Akon have a hand in the editing of it or did you just contribute the music? Was it music first then video or the other way around? PETER: The music came first. I was asked to write it for a UN event and I was really struggling with how to present the issue musically. I had dinner with friends and sat next to someone I had never met. He happened to be an expert in trafficking so I told him about my challenge. A few days later he emailed that he had a dream about the song. He realized that people had been trying to turn things into gold for centuries - through alchemy. And that slavery was really the darkest kind of alchemy.. turning blood into gold. A perfect title. I called Akon and he was immediately onboard. I wrote the song that night and sent it to him � knowing that I didn't have to spend a lot of time on the production - Akon would get it and add his brilliance. When he sent it back, I knew we needed a video. And I wanted it to be as intense as the subject matter. Another friend suggested UNICEF as a great source for not only footage, but creative input as well. So I sent the song over and within two weeks an amazing team put together the video you see. And UNICEF didn't hold back - I was thrilled with the result. I got the request to write the song in mid-January and by mid-March we had the finished product. BILL: You debuted the song at a UN event called "Breaking the Silence, Beating the Drum" that also featured many other artists, celebrities, etc. What was it like being part of something so powerful and important? Did you feel they "got the message?" PETER: It was really an extraordinary feeling.. to be in the General Assembly singing that song.. to be in the company of so many others performing their hearts out - in the true sense of the word. I think the message was received. My part of the message was that, while it's important to commemorate the end of the transatlantic slave trade, slavery is worse today than ever before. But the positive side to that is if we ended it in one form so many years ago, we can end it today. "My part of the message was that, while it's important to commemorate the end of the transatlantic slave trade, slavery is worse today than ever before." BILL: You and Akon have co-founded a website called Is There Something I Can Do. By the looks of the site, every month you will be calling attention to a new cause. Currently, it's still Human Trafficking, Other links (not yet active) are for other causes such as Female Empowerment, Environmental Sustainability, and Economic Development. Will you be doing multimedia projects for these social causes as well or what other means at your disposal will you provide as their "turn" comes around? PETER: Well.. You've identified the difficulty of refreshing a website with a lot of new content! It takes a little longer than we thought. We will be updating the site with new music, videos and artistic collaborations - probably more like every few months - as we highlight different issues and solutions. I also hope we can build some dialog into the site. So there is some interaction between visitors and ourselves. BILL: If we can, let's go way back now, to when you first appeared on the "new age music" horizon as one of the debuting artists on the Narada Mystique sub-label (which was formed for Narada's more overtly electronic music artists). You and David Arkenstone were the label's cornerstone (along with Colin Chin and Carol Nethen). How did you and Narada hook up? Were you living in Milwaukee (where Narada was formed by Wesley Van Linda) at the time? PETER: I was living in San Francisco writing music for commercials. I wanted to get into writing for film and I had watched Mark Isham's career go from Windham Hill recording artist to composer for film. It was clear that editors would use records for temp music as they cut the film. So it seemed smart to get a record deal so I could get music in the hands of the editors. "New Age" music was becoming popular and I had actually recorded a very early Narada artist in my studio in S.F. So I was familiar with the label. When I made my demo, I sent it to them (as well as Windham Hill - I actually got a handwritten note back from George Winston who was doubling as A&R man at the time). The timing of their "Mystique" imprint was perfect for me and I was signed. BILL: To fans, the "birth" of this new genre, as exemplified by both Narada and Windham Hill, was a very exciting time. Did you have any idea while recording "The Waiting," "One by One" and "Lost Frontier" (your first three and, arguably, best known "new age music" works) that you were witnessing the birth of a new genre? PETER: Sort of.. because technology was marching in lockstep to the new sounds. When I started out recording there was certainly no such thing as digital. Computers filled up a room and you programmed them with punch cards! On "The Waiting", I was using the sound of a basketball as a percussion instrument. That was pretty unheard of at the time. But I could do it because of the advent of digital sampling. BILL: Segueing a bit, your last Narada release, "Yonnondio", (if I recall correctly) was inspired by a Native American event from the 17th century, as related in the book "Yonnondio, Warriors of the Genesee" by William H.C. Hosmer (this took a fair amount of Googling, by the way). Starting with the tribal-influenced track "Fire Dance" (which was used in the film Dances with Wolves) from Lost Frontier, followed by this album, the listener can start to see your growing interest in Native American music. This blossomed on subsequent releases, such as your soundtrack to 500 Nations, and the Native American albums Spirit Dance and Ojibwe: Waasa Inaabidaa. What sparked your interest in Native American peoples and music and what path did you walk which led to the touring stage productions of Spirit Dance (and Spirit: The Seventh Fire)? PETER: WOW! They also didn't have Google when I started writing music. I hadn't heard of this book. I just had a great time checking it out. The inspiration came from Walt Whitman's poem of the same name. I "borrowed" verses from that poem and a few others to put together the lyrics for what the choir sings in the title song. There's quite a video that goes with that piece - it's a short film really. Someday I'll get that up on YouTube. Your question is a sizable one! My interest really started with a loss (there's the sadness again). I read the book Son Of The Morning Star right before I started working on my second record, One By One. I learned things about American history that I never learned in school. The book was about Custer and what lead up to Little Big Horn. I was stunned by what was here before "Manifest Destiny" and I wondered if there was anything left of what seemed to be such an integrated way of living. If you revisit that album and listen to "Powder River," "Trail of Tears," "One By One," "December March" and "Sand Creek," you may hear things differently. All these songs were reflections on things I had read in the book. When Kevin Costner called, I was ready to put my emotions to work on his transformational scene in Dances With Wolves. That scene had more of me in it than I knew. Over the next 15 years, I would be absorbed (obsessed?) with exploring how we seemed to have forgotten or discarded so much in the name of "progress". And the American Indian was really the icon for this idea. Not romanticized, but probably idealized. The culture represented how we lost our way. How we compartmentalized and commodified everything. I kept trying to find deeper and more expressive ways to get this point across.. And I love a challenge! When I was asked to play live, I tried to find ways to incorporate images and story telling.. and then dancers and singers. Slowly over many years and many twists and turns, Spirit - The Seventh Fire was born. There are many stories to tell about how the show came about. But ultimately it was my intense desire to make what really amounts to a strong political, social and religious statement. Boiled down.. the simple Indian phrase, "we are all related" says it best. I've found fans of Spirit around the world. Everyone sees it as "their" story - which it is. The Chinese relate to its core premise, "if you don't know where you came from, you can't know where you're going" - another major theme in the show - because of their rapid growth. ".. ultimately it was my intense desire to make what really amounts to a strong political, social and religious statement. Boiled down.. the simple Indian phrase, "we are all related" says it best." BILL: Your first vocal album was 2006's Gold Star. What prompted your transition from a mostly instrumental artist to a vocalist? Did you reach the point where you felt you had nothing left to 'say" purely through instrumental music or was it something more about WHAT you felt needed saying or was it simply wanting a change of pace? PETER: It was definitely because I needed to say some things. Spirit had totally wrecked me, frankly. On every level I had been tested. I passed some and I failed some. But I learned a ton and felt I needed to express myself more than I could through instrumental music alone. Once I started, it was hard to go back to instrumental music as a form of complete expression. BILL: How does composing songs with lyrics differ from composing electronic/ambient/new age music, besides, of course, writing the lyrics themselves? Do you find it easier, more difficult, or about the same? And has it proved to be as rewarding as you had hoped? PETER: It's been very rewarding. As I said, I like challenges. And writing lyrics is definitely much more of a challenge. It is the most difficult part of songwriting for sure. I've been writing instrumental music for so long that it's fairly straightforward for me. I won't say easy.. but natural. Writing a song with lyrics that strikes just the right balance is much more difficult. I definitely celebrate a little when I think I'm finished with a new song. BILL: Is there any chance of you returning to instrumental music in the future, perhaps even composing another soundtrack? PETER: Definitely. I actually score a film or two every year. They have mostly been documentaries. Usually the director is quite happy to be working with someone with experience. And I usually get to learn a thing or two in the process. I really enjoy working to picture and I find that, for me, instrumental music is most rewarding when it advances a story. "I really enjoy working to picture and I find that, for me, instrumental music is most rewarding when it advances a story." BILL: Speaking of soundtracks, some of your later Narada songs, specifically I'm thinking of "Nebraska," have a distinct cinematic sound to them. Then, in 1998, you composed and recorded a beautiful soundtrack to a documentary (about my home state, by the way) entitled Wisconsin: An American Portrait. It would seem that your artist persona is comfortable in a variety of settings, from electronic music, to Native American, to rock, to orchestral soundtracks. How did you find the experience of scoring for a film (as you did with 500 Nations, which was four years earlier but which I have not heard)? PETER: There's no question that Nebraska is some sort of sound painting.. if that makes sense. Remember that I was going for music for film. I wanted editors to hear my music and see how it related to their images. So if the songs conjured up images all by themselves, that was probably a good thing. I do wander into varying styles.. I've always felt that I was just searching for the sound in my head and I didn't see any particular sonic barriers to that. The thing that helps the most in film is not any particular fluency in styles, it's understanding what the director wants.. period. If you can do that, you've got the gig! BILL: I have to say that my wife, Kathryn, and I love your score for Wisconsin and play it every time we go back there. In addition, the music fits the (also wonderful) video perfectly. Were you approached by the filmmakers for this project or did you seek them out? By the way, I wish they studio would put this out on DVD! PETER: We're working on it! The production company will probably have this on DVD by the holidays. I know the director, Chip Duncan, well. And because we've worked together often, he knows that for specific projects I'm the right guy for the job. So when Wisconsin came along, he hired me. Working to picture is so much fun because you get to match the tempo of the edit, the imagery and the story - you sort of glue it all together with the music. When it works, it magical (and the director is very happy!). "Working to picture is so much fun because you get to match the tempo of the edit, the imagery and the story - you sort of glue it all together with the music. When it works, it magical (and the director is very happy!)." BILL: Okay, time for my set of questions that everyone who I interview has to answer! No dodging these, sorry! They're meant to bring a little levity to the proceedings and also to get a look into you as not just an artist but also a person (away from your music). BILL: What would you be doing if you were NOT playing music professionally? PETER: Playing music unprofessionally! Maybe teaching - trying to help future generations in some way. BILL: What is the most rewarding aspect of what you do as well as the least satisfying/most stressful part? PETER: Most rewarding is having some positive effect in the world. Least satisfying is a tough one.. I suppose feeling like I could always be doing more. BILL: Who has played the biggest role or who had the most profound influence on your life, both in general and, if it's someone different, on your music career? PETER: I think it would have to be both of my parents. My mom brought music and soul and my dad brought intellect and drive and they both brought consciousness around human rights and dignity - also laughter and humility. BILL: What is your highest aspiration for your music, i.e. what level of success and how would you define success for yourself personally? PETER: Something like "Blood Into Gold" is a good example of real success for me. I had to deliver something meaningful on a deadline - so that was where "art" and "craft" could meet. I worked with huge talents - both Akon and Nile Rogers - in an amazing venue for a truly deep cause. But I don't think I'll ever stop searching for some form of whatever the next "success" will be. I would also like to be sitting in the audience watching Spirit in China! BILL: What was the last good movie you saw and what are your five all-time favorite films? PETER: Soundtrack For A Revolution (this just came out and it's about the music of the civil rights era). This is a really hard question for me! I'm not a movie nut in the sense that I can think of my all time favorites off the top of my head. And some of them are a little twisted! Okay.. I'm caving! Too much pressure to come up with a fifth and final! BILL: What's your favorite food? Almost anything from Northern Italy or India. But you have to eat it there! BILL: If all your traveling expenses were covered, where would go (that you haven't been to yet)? Geographically that's tougher. I enjoy traveling - and have been surprised by places I didn't think I'd be drawn to (India, for example). But I really love being home actually. BILL: You're throwing a dinner party for 6 people, living or dead, real or imaginary, that you'd like to meet. Who's on the invite list? PETER: Jesus, Mohommed, Siddhartha, John Lennon, Thomas Jefferson, Joseph Campbell (to moderate). And I'd like to record it to play it back for the world to hear. BILL: Do you believe in life on other planets? Life after death? The Supernatural? PETER: Yes. Not sure. Yes. BILL: Cats or dogs? Mary Anne or Ginger? James Bond or Jason Bourne? Captain Kirk or Captain Picard? Spiderman, Batman or Hellboy? BILL: Wrapping up, what's next on the horizon for you, both musically and, perhaps more importantly, activist-wise? PETER: I've been performing lately as a duo with my dear friend Michael Kott on cello. It's billed as a "Concert and Conversation". I talk about how I found my own path in life and the twists and turns it has taken. I show clips of commercials and films that I've scored as well as perform both instrumental and vocal numbers. Next year I'm coming out with a book entitled "Life Is What You Make It" that expands on this theme. And I'll be launching a Ning social network community coinciding with this interview! [www.peterbuffett.com/ning] This will be a place for interaction around the topics I cover on tour and in the book. I will also use this as a space to debut new music, post exclusive videos, host a monthly live chat with community members and other things I haven't thought of yet! The activist side of me will continue to work on collaborations with other artists in an attempt to bring wider awareness to a variety of issues. BILL: Any parting thoughts, shout-outs, or words of wisdom? PETER: First and foremost, thank you for the great questions and the opportunity to share my voice - both literally and figuratively - with your audience. I know some of your readers have followed my musical path and I hope they're still listening! I continue to try to reach for new ideas and inspiration and I hope that is an inspiration to others. BILL: Thanks for taking part in this interview, Peter. Your dedication to and work on behalf of social issues speaks volumes about your integrity as not just an artist but a human being. I wish you much success, both professionally and in speaking for those who have no voice. Editors Note: Peter will be releasing a new exclusive single on his Ning Community this Monday, July 6th! To hear the song and request an invite to join, go to www.peterbuffett.com/ning. In addition to the new single that will be released Monday, Peter will be starting his "Talk Back Tuesday" chats with the Ning community on July 7th! Peter will be available to discuss the new single, receive feedback on "The Cut," his upcoming book release, and more.